“We hope that this time our performance will be much better than what it was in the 2013 contest,” says party leader. 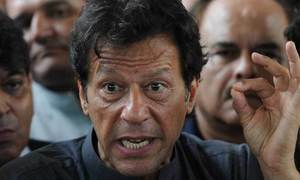 Imran Khan asks his workers to ensure no one should rig July 25 polls. 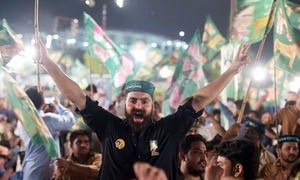 Nawaz used to end electioneering in Lahore. 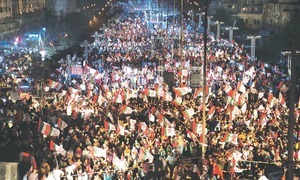 After exchange of words a clash erupted between the two sides. 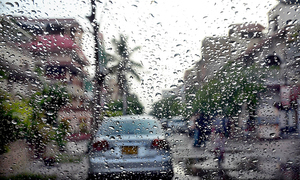 Met Office has forecast the same weather pattern for the next two days. 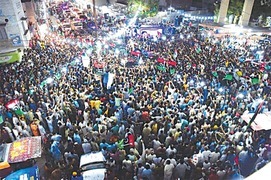 Bilawal's concluding show was under way in Jacobabad when last reports came in. “We haven’t even cast our votes yet and we are hearing people say that the elections won’t be fair"
About 65 per cent of the polling stations have been declared “sensitive”. 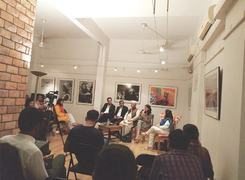 Imran, PPP criticised for ‘ignoring’ Karachi. 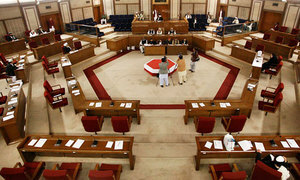 Because of security reasons, major public meetings of any political, nationalist party could not be held in Balochistan. 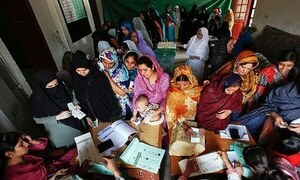 Feature: Will the women of Jahan Khan village come out to vote in this election? 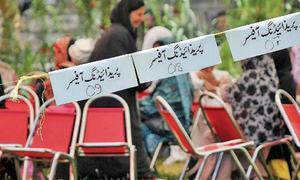 In 2008 and 2013 elections, there was zero turnout of women in the village. The party promises equal educational opportunities for all, dialogue with neighbouring countries. BAP leader says the party hopes to remove sense of deprivation among women. 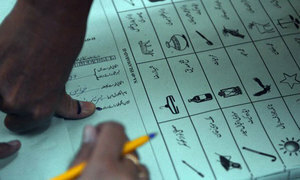 PPP, PML-N and PTI say such eleventh-hour actions make electoral process controversial. 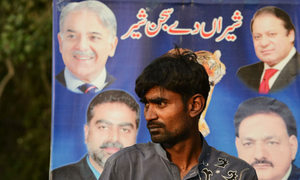 Pakistani candidates seem to be taking a leaf out of their American counterparts’ book. 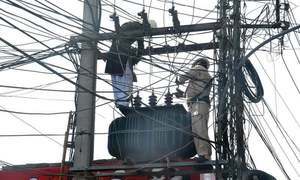 Distribution companies have set up special election control rooms. KP ready to set aside incumbency factor? 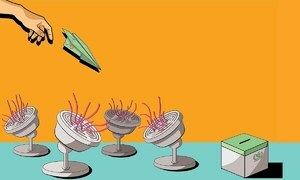 Will the volatile province bring the PTI back to power or will it move on to try a new political configuration? 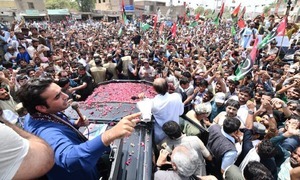 Imran addresses four meetings in Lahore on last day of canvassing; Shahbaz ends campaign in D.G. Khan. 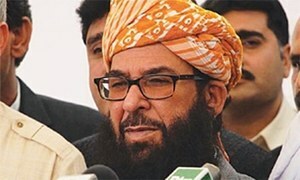 PML-N chief cancels Rawalpindi appearance, PTI, PPP chiefs end campaigns in Lahore, northern Sindh respectively. Waheedullah did not appear for his election training and instead sent someone else in his place, says City Zone SSP. 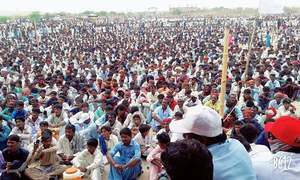 GDA supporters hold a demonstration in Sanghar against people involved in the alleged tampering of postal ballots. 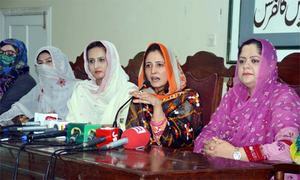 Personal assistant to PPP National Assembly candidate Shazia Marri among the accused. 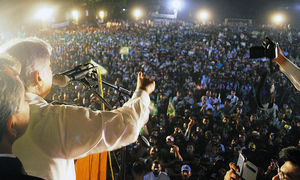 Lahore to host PTI, PML-N rallies before election campaign officially ends at 12am tonight. 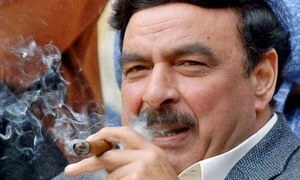 The watchdog is now free to pursue its case against the PTI chief. 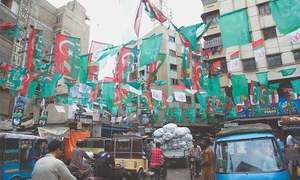 Most of the leading candidates for NA-244 said they had no idea how much they had spent on their election campaign. 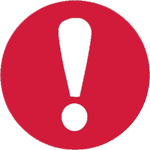 Says it's gravely concerned at the escalating threat to the independent candidate. 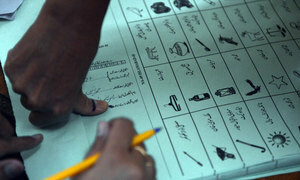 The watchdog lists down the requirements that a ballot paper must meet in order to be included in the counting process.